Do you want door installation Thurmont, Maryland expertise? Then, get in touch with King Door and Lock Maryland and DC! You will be amazed at our thorough list of door repair and installation professional services for homes and business. Is the doorway of your dwelling worn out and in severe need of replacement? Does your garage door simply open up halfway? It’s particularly significant for businesses to possess useful and proper entry doors. Regardless of the kind of door you would like, King Door and Lock offers 24/7 Frederick County, MD door installation services. 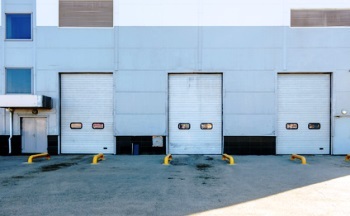 If your commercial building requires garage door installation or repair, then we are the trained and experienced specialists for commercial garage door installation and repair. Utilize our complete door professional services to ensure that our business can help your business to succeed. Our quick and pleasant techs will get to your office promptly so you know exactly what your installation or repair is going to cost. We will subsequently deal with the task correctly and with courtesy so you can concentrate on your own business. Upgrading your household in the Thurmont area and adding on a garage? Let King Door and Lock Maryland and DC handle your garage door installation. Due to the different parts of a garage door, it is vital that you seek the services of experts for the task. Your garage is the ‘home’ for your car and assorted other possessions that the majority of us store in there: lawn mowers, leaf blowers, bicycles, and so forth. Given the amount of items that we store in our garages, it is essential that they are secure and working properly. You need the job done right by our experienced techs utilizing their high tech tools and equipment that enable them to work on any job of this nature. Maybe you already have a garage door, however, it just isn’t working as well anymore. For the same reasons provided above, you ought to be certain that garage door repair is finished correctly to begin with to secure the possessions you keep inside. Our skilled technicians will look into your garage door and notify you if it requires to be replaced or perhaps if it can just be repaired. We always tell you what it is going to cost up front so there will not be any hidden fees when you receive the bill. We have all of your household door demands taken care of. Is your storm door falling off its hinges or seen much better days with regards to the condition the door itself is in? Our qualified and dependable experts will check out the trouble and, explain to you exactly what a storm door repair or storm door installation will cost you. Front doors point out the style of your residence and provide an image of the people that reside there. An entrance door installment with King Door and Lock radiates quality, skillfulness, and professionalism to any person who walks through it. King Door and Lock is up-front in relation to our front door replacement and repair rates. 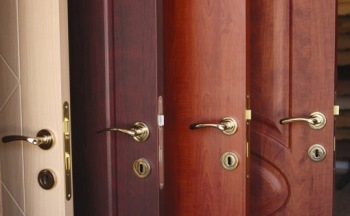 You’ll have certainty in the work that we perform when installing any of your doors. In addition to repairing entrance doors, we can also take care of patio doors or back doors. Depending on how worn out the particular door is, we can easily either do a patio door repair or full replacement. All of our experienced door technicians supply only the most effective door repair and door installation Thurmont, Maryland services. Commercial door installation and repair is different from household door replacement and repair. Our specialists are knowledgeable with both of these services. Your building may have several front doors that must function flawlessly alongside one another each time a customer arrives and leaves. A lot of these doors will likely contain significantly more complex incorporated locking components than the ordinary door knob with a key hole seen in a good number of residences. At King Door and Lock Maryland and DC, we’ve been replacing storefront doors for upwards of 10 years. We also recognize, being a business ourselves, that you’re continuously keeping an eye on your bottom line. King Door and Lock Maryland and DC believes that you’ll not get a better value with regard to door replacement or door repair compared to what our company features. If you discover a cheaper company to do the job, certainly they will be lower in craftsmanship too. You will value our up-front rates along with our speedy, friendly service, so you’ll understand your door needs will be handled quickly and there won’t be any surprises on the bill. The technicians at King Door and Lock Maryland and DC are the door industry experts. For door installation Thurmont, Frederick County service, call us. We supply total door expertise: door installation, door replacement, door repair. Our 24/7 door solutions covers residential doors, commercial doors, and garage doors. King Door and Lock services not only external doors, but in addition, performs exceptionally well at internal door repair and installation for homes or companies. This includes sliding glass doors, pocket doors, and hinged doors. Initially, our technicians will ascertain what kind of work must be done. You may not necessarily have to have a brand-new door installed. It might be an issue of a door jamb repair or even a door hinge repair. In the event the frame of the door is faulty, then maybe a door frame repair is all that might be needed. Our experts will find the issue, figure out what in fact must be done, and then provide you with up front rates so you will have the information you will need to make a good decision. If you are in Thurmont as well as the surrounding area, give us a call right now. We’re here for you round the clock! Our Door Installation Thurmont Services in Maryland https://kingdoorandlock.com/maryland-door-installation/frederick-county/thurmont/ 4.0/5 based upon 30 reviews.